. . . easy squeezey lemon peezey!!! 1. Start with a basic oatmeal box. 2. Grab a ton of scrapping supplies, buttons, sequins, beads, foam, stencils, etc. 3. Wrap your oatmeal box is scrapping paper or wrapping paper. 4. Now let the kiddos decorate to there little heart's content . . . Quaker oatmeal never looked better!!! 5. 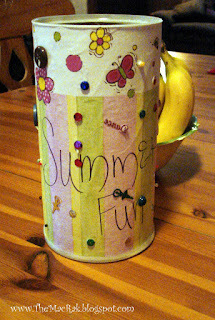 Now fill the bucket with fun, frugal and educational activities for you and the kids to enjoy through out the summer! Frugal, safe & joyful summer to you all! 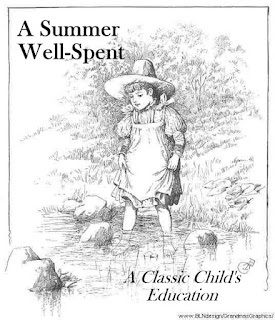 A Summer Well-Spent Ebook is ready to download and go! 150 Summer activities with fun and purpose.